Could it be that the very institutions that are supposed to be exposing people to differing perspectives are actually narrowing their world-views? Fordham University Theology professor Charlie Camosy was up in the middle of election night thinking about this question. In particular, Camosy was concerned about what Trump's ascendency says about college-educated voters. It seemed that none of the academics in his circles expected Trump to win. Camosy thought about his own college campus. "We have a pretty monolithic culture," he says. "We don't have a lot of intellectual, philosophical, theological, moral diversity." In the early hours after Trump won the election, Camosy penned an opinion piece for The Washington Post about the gulf between college-educated and non-college educated voters. On this week's podcast, he told Stephen Smith that in American higher education, it's hard for students to find professors and fellow students with beliefs that are different from their own. In college classrooms, Camosy said, "I know some students feel they can't even offer their true positions in class for fear of being branded a certain way and marginalized and labeled. And that is narrowing and that is something we need to address." Listen to the full interview with Camosy on this week's podcast. And tell us what you think. Are colleges doing enough to expand people's world-views and introduce them to ideas and experiences contrary to their own? Let us know by sending us a note. 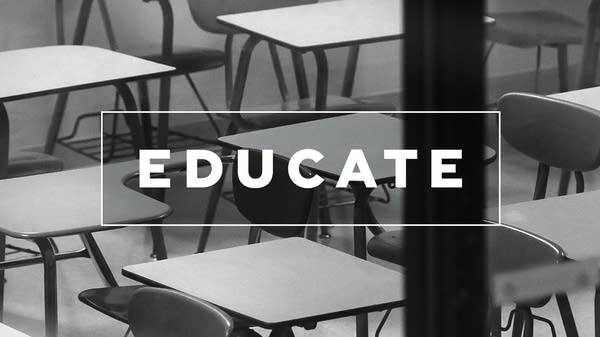 You can also Tweet us @EducatePodcast or post to our Facebook page.